We are engaged in providing Dreamweaver IT Training Services. We are providing Dreamweaver Software Training Course Services. We are engaged in providing Macromedia Dreamweaver Training. We offer "Dreamweaver Training courses" as per industry demands. That editor or tools is used to developed Web pages designs. We will make the complete website using this editor and understand the depth knowledge and understanding of Dreamweaver editor tool. We provide services of Dreamweaver Training. We are specialized in providing Dream Weaver Training. Dreamweaver is a modular program that a student can opt for after completing basic schooling till 10th grade. In addition to students, many working professionals enroll for this program and find it valuable. The objective of this program is to familiarize a student with the tool. - How to create tables. - How to create website and manage website. - How download files from sever and edit it. We offer Dreamweaver Training Services. Our practical, hands on Dreamweaver Training Course is an introduction to using Dreamweaver efficiently to manage web sites and create pages which conform to current web standards. You will cover planning, creating, editing, publishing and site management using Dreamweaver. We are specialized in providing Dreamweaver Training. 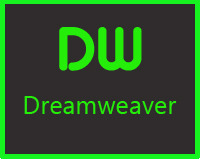 - Dreamweaver is a website designing and publishing tool appropriate for intermediate to advanced web designers that allows to create and edit web pages and applications using a graphical interface and built-in advanced web design and coding features. We are providing Dreamweaver Training Services. We are engaged in providing Dreamweaver Training Services.